O’Reilly’s top class son Alamosa sired his third G1 winner on Saturday when his 4YO son On The Rocks won the Herbie Dykes Stakes at Te Rapa. O’Reilly's top class son Alamosa sired his third G1 winner on Saturday when his 4YO son On The Rocks won the Herbie Dykes Stakes at Te Rapa. 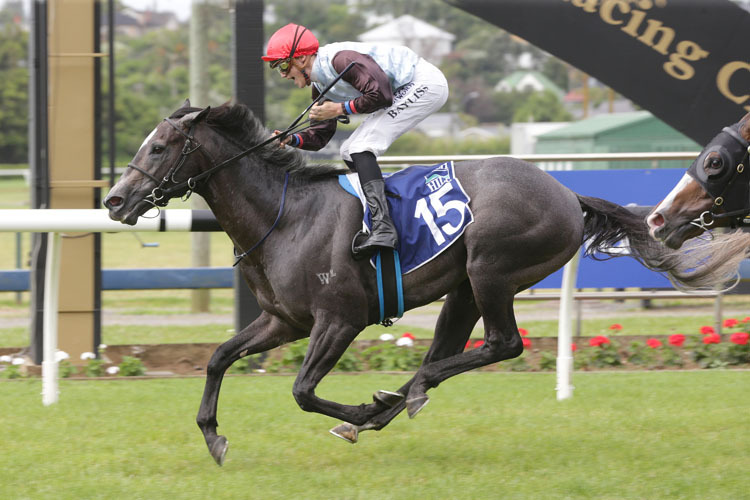 On The Rocks (Alamosa x Cold Shoulder by Volksraad) was purchased by agent Paul Moroney for $NZ40,000 at the 2016 NZB National Yearling Sale from the Wellfield Lodge draft and joins Stolen Dance and Kirramosa as the stallion’s G1 winners. Bred by Bill Gleeson, On The Rocks is the 36th individual G1 winner purchased by the highly respected Moroney, brother of top trans-Tasman trainer Mike Moroney. On The Rocks is out of the Volksraad mare Cold Shoulder, a half-sister to the Melbourne Cup and Victoria Derby winner Efficient (Zabeel) and the G2 winner and sire Guillotine (Montjeu). He is the only black-type performer from four winners produced by Cold Shoulder. On The Rocks is also a dual G2 winner and has earned $NZ432,575, more than 10 times his purchase price, from his five wins in 12 starts. “He’s a great little horse,” co-trainer Pam Gerard said. “He’s only a little grey thing but he has a huge heart. Tiptonic, a son of O’Reilly who was a $100,000 purchase at the 2015 Premier Sale, finished second in a repeat of last month’s G2 Rich Hill Mile where he was also beaten by On The Rocks. On The Rocks was ridden by Jake Bayliss, giving the Australian jockey his second G1 win in New Zealand. Bargain Ferlax filly Imelda Mary added a second G2 victory to her record when she won the Cambridge Stud Sir Tristram Fillies Classic at Te Rapa on Saturday. Trainer Wayne Hillis paid only $NZ3,500 for Imelda Mary (Ferlax x Eleesha by Encosta De Lago) from the Haunui Farm draft at the 2017 NZB National Yearling Sale at Karaka. Saturday’s victory was her third in 15 starts an took her career earnings past $NZ168,000. She also won the G2 Royal Stakes at Ellerslie on January 1 with Saturday’s win giving her the lead in the coveted New Zealand Bloodstock Filly of the Year Series. Wayne Hillis named the filly after his mother and he shares in the ownership with Chris Delamore and Ross Robertson. “This is very, very special,” Hillis said. “Age is catching up with Mum a bit these days, but she loves racing and she’s getting a real kick out of this. It’s a fairytale. Imelda Mary earned 8 points for Saturday’s win taking her to Filly of the Year tally to 16 points, four clear of long-time leader Media Sensation (I Am Invincible). Imelda Mary is from the unraced Eleesha, a daughter of a sister to the two-time G1 winner Fashions Afield (Redoute’s Choice). She is the third Haunui Farm graduate in the past decade to take out the Sir Tristram Fillies’ Classic, joining Fix (Iffraaj) and Vavasour (Redoute’s Choice). The Graham Richardson and Gavin Parker-trained 3YO gelding Sponge Bob won the G2 Waikato Guineas at Te Rapa to provide his sire Keeper with his 35th stakes winner. Sponge Bob (Keeper x Chihenne by Castledale) beat Arrogant (Ocean Park) by a neck to give Richardson back-to-back wins in the event after he won last year with Xbox (Niagara). Race Synopsis: This G1 2000m at WFA for all comers saw an odds on red hot pot in Danzdanzdance not even finish in top three in what was a weak field to start with that got decimated by two big withdrawals of the expected second and third favourites. On The Rocks would continue his hit and miss formline to win easily at $15 and prove once again that the WFA ranks in New Zealand have never been lower and seem to be getting worse. The Te Rapa track looked and raced very scruffy plus when on a hot dry day all runners are steered well away from the inside lanes and head towards the middle on a Good 3 surface then you have not just a visually damning problem but a track issue. Remember this is the only dual G1 and dual G2 raceday at Te Rapa so to have the Rail out 5m foretold a problem and then the inside lanes were total quicksand plus a track the stipes released as a Dead4 was upgraded to a Good3 from R3 to perplex the picture even more. The winners and where they turned for home in race order were seventh (last angled six-wide and four lengths from the leader), third (three-wide and a length from the leader), eighth (eight-wide and three lengths from the leader), third (three-wide and half a length from the leader), third (four-wide and a length from the leader), fourth (eight-wide and half a length from the leader), fifth (four-wide and three lengths from the leader), seventh (six-wide and two and a half lengths from the leader) and third (seven-wide and half a length from the leader). The track was toxic and biased beyond belief whereby no leader won (this is usually one of if not the most leader manmade biased track in all of New Zealand) and today the pendulum swung too far to the other extreme. The manmade bias today saw on a Good3 track every winner came three-wide and more so up to eight-wide turning for home and the jockeys steering well off the inside lanes near and on the home turn tells you everything. This raceday has had massive problems before with disastrously presented tracks and manmade bias and even had one year when the track rating officially released locally and Internationally in the morning by the Chief Stipe and Trackman was totally false by an enormous amount. The 4yo On The Rocks settled fifth in a far from testing run race and when the pace picked up finally across the top he was in a gap and seemingly struggling as he is not a big horse at all. The entire then got his second wind and was third at the 200m before those at this stage ahead are handicappers only like him and they wilted. He got the upper hand ten-off the fence at the 100m then went clear to win by over a length in 2:03.24 carrying 59kg for his fifth win in a dozen starts and today was his first at G1 and WFA. His five wins now include a G1 win, two G2 wins and a Listed win and has won on slow footing as well so has some versatility. He had flopped in his prior run at G1 over a mile under set weights and penalties carrying 57kg and before that had won a G2 Open Handicap mile carrying 52.5kg where he beat that day Tiptronic (53.5kg) by just under a length. Tiptronic, which had flopped big time at his last start also in the G1 mile at set weights and penalties that On The Rocks missed in too, formed the quinella again today. He is a handicapper and very inconsistent plus is yet to win this season (he last won a race fifteen months ago), so when he can run second at G1 under WFA the alarm bells ring about how weak this field really was. Tiptronic trailed the leaders third on the inner but pushed off the inside across the top to be second and led at the 350m and ended up six or seven-off the fence such was the poor nature of the track today. This was his first try at 2000m as well having only been run up to the mile. Elusive Treasure iced this race as a very weak cake indeed as outside the hotpot Danzdanzdance that flopped anyway, the rest of this line up was abysmal for WFA at G1. This rank outsider at $56 is only a four-race winner so carrying 59kg seemed at his first try over 2000m as a most unlikely bearer for G1 dividend paying fruit. He was second wide then settled down fourth the outer and kept coming to be second at the 250m and third at the 100m and he was only beaten a length and a half. The fact this sprinter/miler had never run more than 1600m but today got close to winning a G1 at WFA over 2000m is hard to accept as possible but it did happen. Charles Road, a handicap stayer, ran on late for fourth closer in so came along the slower lanes to be beaten just under three lengths. Danzdanzdance was an epic flop and she looked a bit fizzy pre-race with the heat and prior to today she had raced four times on Good footing for one placing (admittedly it came in the G1 NZ Derby) but they are not the facts that should see her start at $1.50. 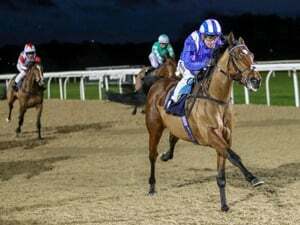 The 4yo mare had been on wet or rain-affected footing sitting back in tepid run races with no pressure then wheeling around the field and sustaining the run to go clear in her two prior wins. Today she had to do a bit of work wide and then went up second the outer, so was in an unfamiliar zone but the race was not a pressure contest at all and worryingly across the top she could not go when the leader sprinted. She got pushed out of the way by the trailer Tiptronic that would run second and the mare was labouring thereafter the run home not showing any ping or lift with the footing making her stride pattern very scratchy indeed. 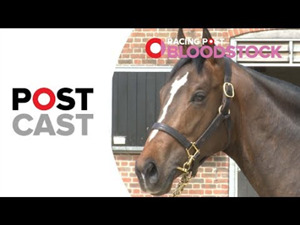 Danzadanzdance did not want to be there today and will never be ridden as forward ever again at this level as that leaves her very exposed indeed. Interestingly this month a year ago she ran second in the G2 Avondale Guineas (2100m) on slow ground narrowly beaten by On The Rock, that won this race today. The connections of Danzdanzdance must be in a quandary now as tackling the Sydney Autumn Carnival and the likes of Winx looks a task after being well beaten at Te Rapa. The weather reports could be the most important factor now and a change in rider too is in the offing, if her campaign continues. 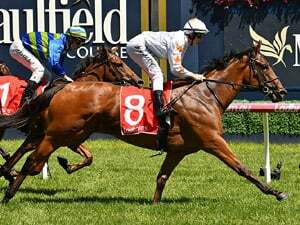 It was massive reality check today and when you consider she ran third in the Spring at G1 over 2000m under WFA behind Savvy Coup (outclassed twice in Melbourne afterwards) and Lizzie L'Amour (well beaten four times in Melbourne) there is a big flag of doubt. Saint Emilion led up and was not taken on but buckled the run home to finish sixth beaten almost six lengths and the 7yo is a win or nowhere type with one win in six runs this season saying it all. Dark Princess was ordinary and Wyndspelle showed why he is just a three-win galloper and the first to fold in a fight or when the going gets tough he stops going. Belle Du Nord was an awful last after settling down in the rear and dropping right out. This was outside Danzdanzdance nowhere near a G1 field and was G3 at best, so when she cracked before the home turn something was going to get very lucky. When the withdrawals of stablemates Lizzie L'Amour and the 3yo Madison County happened it took some pace and pressure out of the race and the only two dangers to Danzdanzdance. The fact she could not even pay a dividend with them out of the field shows just what a parlous state WFA is really in at the moment in New Zealand. Tiptronic would be 100-1at least in an Australian G1 at WFA and Elusive Meteor 250-1 at least and they ran second and third today. On The Rocks the winner would be 50-1 even though a 4yo with still more to come as his lack of size and hitting that flat spot is a fatal flaw at WFA. His rider today Jake Bayliss got fined $500 for the standing up in the irons before the line in a big celebratory salute purely for his own enjoyment to watch on replay again and again or load up on Youtube yearning likes. The fine needs another nought or more added and it might stop the grandstanding before the line not worrying what is behind you or looming either side when having less control than at any other stage of the race. The race today is the richest G1 at WFA in a New Zealand a season at 400K and drew an ordinary field with the first four home all handicappers. 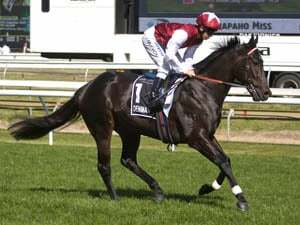 Haunui Farm has announced Iffraaj and Belardo will be returning to New Zealand for the 2019 breeding season. Niagara filly Beyond The Fort won the final leg of the 2018-19 New Zealand Bloodstock Southern Filly of the Year Series at Riccarton on Saturday but it wasn’t enough to take the series away from the classy Pins filly Emily Jane.